Create a custom training class to meet your specific needs. CAD Masters can modify an existing class or work with you to create a precise curriculum for your group. We can incorporate current project work into class examples, teach your company's CAD standards, or combine AutoCAD topics with Civil Survey or Architectural topics in one class. Several examples of custom curriculum are listed below, please call for additional options. Training can be scheduled at our training center or at your site. Multiple student discounts are available for class sizes of six or more students. Prefer training at your site? CAD Masters will bring the training center to you. We have i5 laptops and i7 desktops that we can bring (or ship) to your location with software loaded and configured. Training includes comprehensive course materials and technical phone support for three months following instruction. On-Site Training and Custom training classes are priced according to the schedule below for three students or more. Prices are for the greater Bay Area and greater Sacramento area only. Lodging, travel and computer delivery charges may apply for training in other locations. Delivery charges may apply for on-site training with 5 or more computers. There is a $200/day surcharge for classes scheduled on Saturday or Sunday. Discounts are available for classes of six or more students. This introductory course is recommended for new users of all AutoCAD based products. Course emphasizes fundamental 2-D drafting skills. Topics include: Drawing setup, units and scale, object creation and editing functions, display and zoom functions, advanced drawing functions including 2D and 3D polylines, layer creation and management, text, dimensions, accuracy issues including object snaps, blocks, dimensioning, the Cartesian coordinate system, relative coordinates, coordinate precision, and more. Through lecture and hands-on exercises, our instructors will help you develop the necessary skills for efficient and accurate drafting. This course introduces new features of the latest AutoCAD release as compared to previous versions, and is recommended to maintain and improve productivity when upgrading to a newer version of AutoCAD. Users transitioning from previous versions will learn new AutoCAD features and productivity enhancements included in the latest release and 2 to 3 releases back. Topics include:Interface changes, associative arrays, parametric constraints, selection and grip improvements, PDF improvements, annotation changes, and other often overlooked command updates that will enhance productivity. This course does not include the 3D solid modeling; please see the AutoCAD Solid Modeling training course for more information on 3D modeling. Prerequisite: Prior knowledge of previous versions of AutoCAD. This introductory course is recommended for all Project Managers that seldom use AutoCAD but manage a group using AutoCAD based products such as AutoCAD Civil 3D, Architecture or MEP. After taking this course you will better understand AutoCAD terminology, how long tasks in AutoCAD will take and how to make minor modifications to annotation in drawings. This course covers layers, blocks, external references, images, text, dimensions, tables, viewing, plotting and publishing drawings. CAD Managers - this course should be considered as required research to best equip you to make important decisions regarding your standard workflow procedures. Topics include: File management, layer naming, linetypes, symbol management, style management, plotting configurations, troubleshooting drawings, best practices, templates, design center, tool palettes and DWS files. Prerequisite: AutoCAD Level I and AutoCAD Level II or instructor's consent. Learning to create beautiful 3D drawings is deceptively simple and quickly becomes much more complicated than simple 2D drafting. Learn about 3D navigation, solid models, cutting sections, visual styles, lighting, materials and rendered scenes. Topics include: 3D navigation, solid models, cutting sections, visual styles, lighting, materials and rendered scenes. Prerequisite: AutoCAD Level I or instructor's consent. This course is recommended for drafters, designers, surveyors and engineers that are new to Civil or Civil 3D and those coming from Land Development Desktop. Civil 3D is different enough from Land Desktop that it is best to start with the basics. Course emphasizes the basic civil engineering tools within Civil 3D. Topics NOT covered in this course include: AutoCAD Level I and II, Map 3D, and Land Desktop. Topics include: Project Management, Toolspace, Styles, Points, Sites, Parcels, Terrain Modeling, Labeling, Surface Creation, Intro to Alignment Design and Profile Design, Basic Corridor Modeling, Cross Sections, Fundamental Grading and Simple Volume Calculations. Learn the Civil 3D environment including style based objects, design constraints and defaults, and reactive dynamic design. Develop a comfort level working in Civil 3D. Learn to manipulate and understand the new dynamic design objects for better control, faster design iterations, and a more accurate model. Learn to work effectively in Civil 3D across multiple drawings in a team project environment. Prerequisite: AutoCAD Level I & II or instructor's consent. Familiarity with the surveying and civil engineering disciplines. This course is recommended for Cad Managers or anyone else who needs assistance with configuring Civil 3D styles to suit company standards. We encourage you to bring samples of your current standards and they can be used as examples in class. This class is unique because it allows you to start customizing your company standards while you learn the process of creating and modifying styles. Topics include: As many object and label styles that can fit into a day. Prerequisite: Civil 3D Introduction, guidelines for current company standards or instructor's consent. Need help making the jump from Land Desktop to Civil 3D? Overwellmed by setting up all of the Civil 3D styles needed to make your plans look the way you want? Our Civil 3D Certified Implementation Experts can help make the transition to Civil 3D as easy as possible. We can setup a custom class tailored to your line of work, help setup styles conforming to your existing standards, or cover issues regarding working with Vault and Civil 3D. This course is recommended for all architects and building design professionals with no formal training, those transitioning from AutoCAD to Revit, or anyone interested in BIM and parametric building modeling. Topics include: All primary features of design development through construction documentation. Users will assemble a building model complete with walls, floor, doors, windows, openings, stairs, railings, roofs, columns, and ceiling grids. Topics will progress towards construction documentation features including annotation, tags, scheduling, symbol management, and generating sheets. Students will learn to quickly create floor plans, sections, elevations, and perspectives of the 3D building model. Prerequisite: Some architectural or building design experience and basic knowledge of computers in a windows environment. No formal CAD training is needed. This course is recommended for all Revit users looking to improve their skills, leverage the software and better manage their projects. Applicable to: Revit Architecture and Building Design Suite. Topics include: Importing/exporting files, linking files, conceptual design tools, family creation/modification, phases, design options, interference checking, color schemes, worksharing, site tools, advanced rendering tools. This course is recommended for structural engineers and drafters who want to learn to use Revit Structure to model projects. The course emphasizes Revit basics, the structural components of building design, and exporting data to structural analysis programs. Topics include: BIM, the user interface, views, elevations, levels, grids, columns, walls, frames, beams, slabs, roofs, foundations, stairs, ramps, sections, details, and construction documents. Develop a comfort level working in Revit Structure, while working with modeled elements.. Manipulate and understand structural components for better control and a more accurate model. Prerequisite: Familiarity with residential or commercial structural engineering. This class is recommended for all design professionals working on BIM projects or using 3D design software including Civil 3D, Revit, AutoCAD Architecture, Microstation, etc. Course emphasizes the tools required to combine models from a variety of programs and review those for consistency with the intended design. Topics include: Navisworks Simulate: The NavisWorks interface, working with NavisWorks file types, model navigation tools, model insertion tools, managing coordinate systems, model sectioning, object selection tools, object modification tools, and object measurement tools. Review, query, and red-line your models as your designs progress, TimeLiner: 4D Construction Simulations. Learn to link model geometry to times and dates for playback of construction and demolition sequences to verify viability of construction plan. Navisworks Manage - Clash Detective: Learn to use the conflict identification tools to find and resolve design problems earlier in the design process. This introductory course is recommended for new users of Inventor based products. Course emphasizes fundamental 3-D modeling and drawings setup skills. This introductory course is recommended for new users of all Inventor based products. Course emphasizes fundamental 3D and 2D modeling skills. Topics include: Navigation, solid modeling, extrusions, revolve, loft, sweep, 2D and 3D sketching. This course is recommended for Associates, Project Managers, CAD Managers, or Principals managing an architectural project team planning to implement or currently using Revit. Topics include: All essential features of Revit including the opening of projects, basic editing, and viewing & printing drawings. Students will learn to navigate the software, understand the way Revit works in terms of data and file interoperability, and address workflow and worksharing. Concepts of BIM (Building Information Modeling) will be discussed. This 3-day course is intended for Mechanical, Electrical, Plumbing, and Fire Protection professionals. This class covers 3D BIM modeling with Revit MEP. Students will learn design and documentation tools referencing mechanical, electrical, plumbing, and fire protection systems as examples. Mechanical Systems: zone creation, color schemes, energy analysis, terminals, ducting, primary and secondary supply systems, route conflicts, automated sizing, system color scheming, system inspections mechanical units, piping systems. Electrical Systems: Placing electrical components, creating and modifying power circuits, wiring, panel schedules, and balancing panels. Plumbing Systems: Piping, mechanical equipment, and system routing. Fire Protection Systems: placing sprinklers and system layout. Prerequisite: It is recommended that the students have some general design and computer experience. Previous experience in Revit or other Autodesk products may be useful, but is not required. This course is recommended for users who have completed AutoCAD Level I and for existing users who wish to improve their AutoCAD skills. Course emphasizes plotting and managing drawings. Learn the commands that all experienced AutoCAD users should know and understand. Topics include:external references, drawing file management, paper space, page setups, plotting, publishing, PDFs, DWFs, raster images, tables, text from Microsoft Word, line types, annotative objects, fields, design center, data extraction, and etransmit. This course is a must for advanced users who have taken AutoCAD level I and II. Realize the full potential of AutoCAD as you learn the ins and outs. Topics include: the CUI, options, profiles, customizing toolbars, menus, keyboard shortcuts, and tool palettes. Sheet Set Manager - templates, fields, page setups, view blocks, callout blocks. Dynamic Blocks - block editor, parameters, actions, creation and constraints. Applicable to: AutoCAD, AutoCAD Map 3D, Architectural Desktop, MEP, Land Desktop and Civil 3D 2007. Topics include: Configuring plotters and pc3 files, creating and editing plot styles to control lineweight and colors, creating saved page setups and importing layouts from other drawings, setting up and publishing multiple layouts, plotting to scale, custom paper sizes, plotting to electronic files (PDF, DWF, or PLT), and more. This course is recommended for engineers and designers. Course emphasizes site, corridor and pipe design. This course does not cover the Civil Design Companion plug-in for Land Desktop. Topics include: Project Management, understanding and manipulating styles, smart labeling, sites, advanced alignment creation, editing and labeling tools. Advanced Profile creation, labeling and editing tools, profile design, various profile views, superimposed profiles and sheet creation tools. Corridor assemblies and subassemblies, corridor creation, corridor surfaces, vertical and horizontal transitioning, intersection tools, volume computations, advanced section creation, labeling and editing. Grading tools including feature lines, daylighting, proposed surface creation, volume computation, and volume balancing techniques. Pipe design tools including calculations, drafting in plan and profile, and labeling. Also covered will be methods and theory of working effectively with and between Land Desktop and Civil Design. Prerequisite: AutoCAD Level I & II, and Civil 3D Level I, or instructor's consent. Familiarity with civil engineering discipline. The purpose of this course is to introduce you to the new features of AutoCAD Civil 3D. Come and learn about updates to the interface, labeling improvements, automated survey linework, alignment offsets and widenings, profile object projection, intersection creation commands, corridor regions, quantity takeoff manager and many other tips and tricks to increase your productivity when using Civil 3D. *Includes Course Materials for Civil 3D Intro and Civil 3D Advanced! Prerequisite: Civil 3D Introduction or instructor's consent. 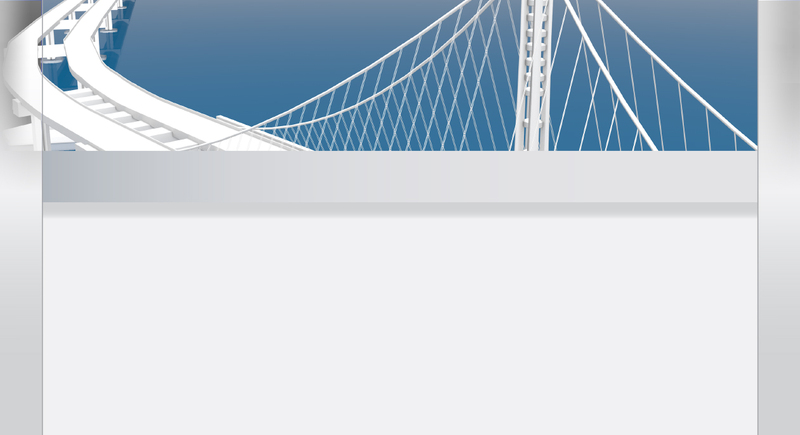 The update class covers as many new changes to Civil 3D that will fit into a one day class. The class will begin by explaining the newest features and progress to previous versions as time allows. This course is recommended for drafters, designers, and engineers that are new to Plant 3D. This course emphasizes the basic Plant 3D tools within Plant 3D. Topics include: Project Management, Plant 3D and P&ID Tool Palettes, Specifications, Equipment Creation, Pipe Routing, Data Control, Pipe Supports, Basic Architectural Structures, Ortho Drawing Creation, Isometric Drawing Creation, P&ID Drawing Creation. Learn the Plant 3D environment including style based objects and reactive elements. Develop a comfort level working in Plant 3D. Learn to manipulate and understand the objects for better control, faster design iterations, and a more accurate model. Learn to work effectively in Plant 3D across multiple drawings in a team project environment. Prerequisites: AutoCAD Level I & II or instructor's consent. Familiarity with the plant processing equipment and procedures. This course is recommended for users who have completed AutoCAD Level 1 and Level 2 and for current users of AutoCAD and/or Civil 3D. Topics Include: vehicle swept path analysis, drawing and system settings pertaining to Vehicle Tracking, roundabout/junction creation, parking analysis and reports, custom vehicle creation, and more. This course is recommended for surveying professionals who want to learn how to use Civil 3D to complete projects from field to finish. The course emphasizes Civil 3D basics with the addition of survey toolspace commands. Topics include: Project Management, Toolspace, Styles, Points, Survey Toolspace, Sites, Parcels, Terrain Modeling, Labeling, Surface Creation, and basic Alignment tools. Learn the Civil 3D environment including style based objects and reactive elements. Develop a comfort level working in Civil 3D. Learn to manipulate and understand the objects for better control and a more accurate model. Learn to work effectively in Civil 3D across multiple drawings in a team project environment. This course is recommended for engineers and designers as an alternative to the 2-day Advanced course. Course covers advanced features of corridor design. Topics include: Understanding and manipulating styles related to alignment settings, corridors, editing and labeling tools. Intersection commands. Corridor assemblies and subassemblies, including generic assemblies such as mark point, corridor surfaces, vertical and horizontal transitioning, intersection tools, volume computations, advanced section creation, labeling and editing. This course is recommended for engineers and designers as an alternative or supplement to the 2-day Advanced course. Course covers advanced features of grading, and examples go into more detail about creating finished grade models. Topics include: Grading tools including sites, feature lines, customization to quickly access feature line editing commands, practical applications of all feature line editing commands, creating feature lines from profiles, grading criteria sets, slope patterns, proposed surface creation, volume computation, and volume balancing techniques. This course is recommended for engineers as an alternative or supplement to the 2-day Advanced course to learn how to use Civil 3D for pipe modeling and Hydraflow Storm Sewers to analyze the design. This course will cover setup and layout of Civil 3D pipe networks to export to Hydraflow Storm Sewers and analyze the pipe network in Hydraflow. The course will also cover using the Hydraflow Express for quick calculations of isolated hydraulic and hydrological problems. Topics include: Raster Design provides raster display, image enhancement, and plotting capabilities for satellite imagery, scanned aerial photographs, or color TIFF images within AutoCAD. Learn editing tools to locate, erase, and change raster as easily as vector. Rubbersheeting tools facilitate more exact georeferencing. Overlay photographic images behind maps, plan and profile sheets, and other construction documents for site feasibility studies, presentation drawings, GIS, and more. Use the Palette Manager to change the colors of the image like layers in an AutoCAD drawing. "Heads-up" digitizing improves speed and accuracy. Line following routines can be used for automated conversion of contour data. Text recognition routines convert raster text to AutoCAD text objects. Scanned drawings may be converted completely to AutoCAD vectors or partially revised and plotted as hybrid raster/vector drawings. Prerequisites: AutoCAD Level I and II or instructor's consent. This course is recommended for anyone who uses external databases, GIS, or facilities management information in conjunction with maps. Course emphasizes tools for linking and querying data in a graphical environment. AutoCAD (drafting) functionality will not be included in this course; please see AutoCAD classes for topics not relating to geographic data analysis. Topics include: Data query, analysis and editing, modification of entities from several drawings during one work session, database linking, viewing of MS Access and DBase files through the project workspace, topology creation and editing, topology analysis, thematic mapping, boundary trimming, data exchange with other mapping products. Prerequisite: AutoCAD Level 1 and 2 or instructor's consent. This course is recommended for engineers to supplement to the 2-day advanced course to learn how to use Civil 3D for pipe modeling, Storm and Sanitary Analysis and Hydraflow Storm Sewers to analyze the design. This course will cover setup and layout of Civil 3D pipe networks/Catchments to export to Hydraflow Storm Sewers and Storm and Sanitary Analysis to analyze the pipe network. This course will focus on Hydrology and Hydraulics within the Storm and Sanitary Analysis. The course will also cover using the Hydraflow Express for quick calculations of isolated hydraulic and hydrological problems. This 1 day course covers the basic features and tools in InfraWorks and emphasizes urban planning and development. All levels of users are welcome. Topics include: program interface, navigation, model builder, importing and exporting data, basic design tools (local roads, city furniture, railways, water areas, coverages, etc. ), proposals, styles, sharing and coordinating models, creating renders and movies, and web interface. This 2 day course covers the basic and advanced features and tools in InfraWorks and emphasizes civil design. All levels of users are welcome. Topics include: program interface, navigation, model builder, importing and exporting data, basic design tools (city furniture, railways, water areas, coverages, etc. ), advanced roads and highway design and analysis, AASHTO bridge design and analysis, advanced hydrology design and analysis, Civil 3D integration, creating renders and movies, sharing and coordinating models, and web interface. Prerequisites: none, but Civil 3D experience recommended. Reality capture is a new term for digitizing the physical world into a virtual representation in software. Reality capturing is a process of incorporating new technologies to perform accurate measurements and build data which CAD and BIM applications can use. This course centers around Autodesks ReCap platform and its focus is on Autodesk-based technologies. In this class, you will learn about the various hardware and software used to perform reality capture. For the hardware portion of the course, you will learn about two common sensors used in this area: LiDAR and photogrammetry. We will explore the best hardware for each discipline and the pros and cons of each. The topic will then turn to point clouds and teach the user how to view and manipulate them in Autodesk ReCap. We will also focus on geolocation and RTK GPS technologies to take the reality capture data and put it on a map. We will then shift our focus onto native CAD and BIM applications. We will use Civil 3D to build a surface and Revit to form basic architectural objects. In the final step, we will show how you how to present the reality capture in a beautiful InfraWorks presentation and leverage A360 to share it among teams. This course is recommended for all architects and building design professionals. Learn to take AutoCAD to the next level with the streamlined tools for building modeling and documentation available in AutoCAD Architecture. Topics include: All primary features of design development through construction documentation. Users will assemble a building model complete with walls, floor, doors, windows, openings, stairs, railings, roofs, columns, and ceiling grids. Topics will progress towards construction documentation features, including annotation, tags, scheduling, and symbol management. Students will learn to quickly generate floor plans, sections, elevations, and perspectives of the 3D building model. This course is recommended for all MEP design and fabrication professionals. CADmep runs inside of AutoCAD 2015 and is used by mechanical, electrical, and plumbing (MEP) professionals for design, fabrication and installation of building services systems. This 2-day course covers all you need to know to use Fabrication CADmep software for MEP fabrication detailing and installation workflows for mechanical, electrical, and plumbing (MEP) contractors. Learn to extend design intent to create more accurate, intelligent, constructible models of building services systems. Topics will include controlling numbering of items, batch reporting, data import and export, sharing and using libraries for estimating, detailing, fabrication and installation workflow. We will also explore manufacturer-specific libraries. Learn to integrate your Revit and AutoCAD MEP models to improve accuracy and reduce redundancy, and how to quickly develop MEP designs using design line technology. Also learn to identify and rectify clashes, mismatched connectors, and other service issues. Prerequisite: AutoCAD Level I and II or instructor's consent. This course is recommended for all building design professionals. AutoCAD MEP is the AutoCAD-based software used by mechanical, electrical, and plumbing (MEP) professionals for building design and construction. Designers and drafters can use this software to improve productivity, accuracy, and coordination. Topics include: All primary features of design development through construction documentation. Users will assemble a mechanical plan, complete with heating/cooling ducts, plumbing fixtures/piping, and the electrical system layout. Topics will progress towards construction documentation features, including annotation, tags, scheduling, and symbol management. * Delivery charges may apply for on-site training with 5 or more computers. Contact us for more information about our On-site or Custom Training.